Dehydrating is the perfect solution for those who want to make the most of their garden’s output, create unprocessed snacks, and prepare meals that cost dimes instead of dollars. The Ultimate Healthy Dehydrator Cookbook is the first book of its kind that shows how to affordably build a pantry full of dried foods and use them to make healthy dishes. The reasons for dehydrating food are as compelling today as they were thousands of years ago—it’s environmentally sustainable, simple, quick and delicious. 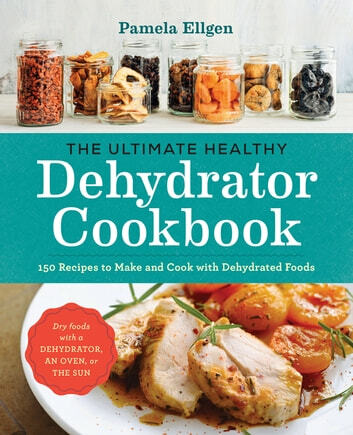 The Ultimate Healthy Dehydrator Cookbook is your all-in–one reference to dehydrating food and your definitive guide to delicious and health-centered recipes. 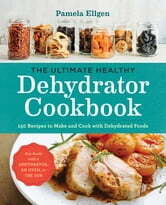 No matter which dehydration technique you choose—sun drying, oven drying, or electric food dehydrator drying—The Ultimate Healthy Dehydrator Cookbook will show you that making preserved foods is easier to prepare than you might think and lasts longer than canning or freezing.